As one may expect, Boswell's latest chat was filled with Riggleman questions. Photo unknown credit. In the wake of the Jim Riggleman debacle, I’m guessing that Boswell fields and opines a lot on Riggleman. Boswell and I differ in our opinions of Riggleman as a manager, and I found it telling that Riggleman noted on a radio show last week that Boswell had never interviewed him (a point refuted by Boswell below). That would put a severe damper on Boswell’s opinions of Riggleman in my mind; if you don’t have the courtesy to interview the subject of multiple highly critical columns and op-ed pieces, then how can you claim 100% credibility? Now i’m not sure who to believe, since Boswell reports near daily conversations with Riggleman. Perhaps Riggleman meant that the two had never talked about one particular topic. Regardless, here’s Boswell’s 6/27/11 chat. As always, I read the question, write my own answer then interpret Boswell’s answer. All questions are paraphrased from the chatroom for clarity here. 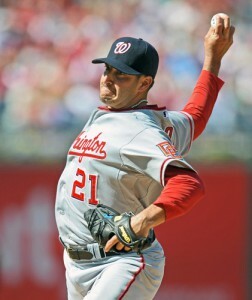 Q: Given the latest string of performances, should the Nats be buyers or sellers at the trade deadline? A: Clearly their amazing run has reversed my answer to this question from a few weeks ago. Now, if the team continues at a 111-win pace (as was noted today on twitter … the team’s form in the past 14 games would put them on a 111-win pace for a full season), then they will factor into the wild card race amazingly. If you’re in the WC race, you are buyers at the deadline. If you have a shot at the playoffs, then you take that shot. (Boswell thinks they’ll be “non-sellers,” preferring to stand pat b/c they have no obvious holes. A fair assessment of the team right now). 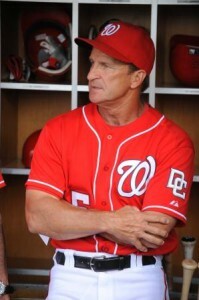 Q: Did the Nats upgrade at Manager? A: Well, clearly yes. Even if Davey Johnson turns out to be a Joe Gibbs-esque over the hill and out of touch (something I really don’t believe happens in this slower-moving strategic sport versus the fast advances of the pro football game), he will command more respect than Riggleman could ever expect. But I think the team was exposed in a certain way throughout this whole Riggleman affair. Riggleman may go down as the man who made the career-suicide move, but Rizzo is not blameless here. You couldn’t find time to spend an hour with your most important subordinate to discuss contract status? And the owners clearly are too-hands off here; I agree with the sentiment of Adam Kilgore who wrote a post that essentially said that this situation wouldn’t have happened if Stan Kasten was still here. That’s not a great endorsement of the state of your front office right now. (Boswell actually compliments Riggleman in his answer.). Q: Why not just leave Bernadina in leadoff instead of all these lineup experiments? A: Good question. Its hard to guess what will happen tomorrow (with a new manager) based on what happened yesterday (with the old manager). Personal opinion; batting a pitcher 8th is asinine, Bernadina should be batting leadoff until Desmond either figures out how to hit or we acquire a replacement, and you leave Werth in a power-hitting position where he should be. Simple as that. Boswell says Bernadina should be leading off and cites his defense as a reason to include him. Q: What does Boswell think about Riggleman’s pointed statements about him to the press? A: Wow, can’t wait to read this answer. I’m guessing Boswell will trash him, again. (Boswell refutes Riggleman’s comments, that I alluded to above, about how he was never interviewed by Boswell. Hmm. Otherwise Boswell deflects some of Riggleman’s comments and actually excuses his statements as being heat of the moment. Interesting. Q: What changes will Davey Johnson institute on this team? A: No idea. Johnson certainly was a master strategist and depends on matchups and stats, so perhaps we’ll see more platooning. He’s old-school, so perhaps we’ll see pitchers going longer into games and less bullpen churn. Q: Is the Werth-Leadoff and Pitcher-8th experiment dead? A: Probably. Honestly it smacked of desperation from Riggleman, though I’d be desperate too if my $126M hitter was batting in the .220s. Q: Is small-ball dead (Nats were 2nd in NL in sac bunts)? A: I doubt it; its still the National league. And I don’t completely blame sac bunting on Riggleman. I’ve seen our struggling hitters gladly take a sac bunt instead of trying to get a hit when they’ve been down. Johnson is still an old-school manager. Q: Which player benefits the most from Johnson’s arrival? A: I’d guess Jayson Werth, who clearly was fed up with Riggleman and should have more respect for Johnson. Q: Does Johnson’s arrival raise expectations for this team for the season? A: Yeah unfortunately. Or fortunately, who knows. For me, if you’re not going to make the playoffs I’d rather finish dead last and get higher draft picks. There’s not a lot of value in winning 78 games year after year. I still think .500 is a great goal for this squad. (Boswell punted on these last 5 questions, saying they’d all be addressed in his 6/28 column). Q: Did ownership somehow derail the team, or were they responsible for Riggleman’s departure by being cheap? Q: How is the bullpen holding up? When will Zimmermann be shutdown for the season on innings limits? A: I think the bullpen is starting to fray. Kimball, Slaten out, Clippard with a “tired arm” and Burnett continuing to blow leads. Storen got hammered the other night too. Mattheus has shown that he’s a nice mid-season callup, and we have other such arms in AAA that we can try out soon (Mandel, Wilkie). Zimmermann may be done sooner than we think. He’s at 94 innings now, is averaging 6 1/3 per start, and if you think 150 is his limit then he’s only got 8-9 more starts. That’s only going to take us to the end of July. (boswell doesn’t really answer, just notes that Storen is on pace to appear in 80 games, which is ridiculous for a high-end closer). Conclusion: Boswell seems to really soften his opinion on Riggleman, gives him many compliments throughout. The big news this cycle was the manager situation clearly, but the team is playing some serious baseball right now. Cycle #15 ended with a loss, breaking an 8-game winning streak that pulled the team out of last place in the NL East (and nearly got them to .500 on the season). We have 3 interesting series coming up against teams with similar records to us (including the suddenly decent Pittsburgh Pirates), and it should be telling how the team does over the next couple of weeks. John Lannan pitched a pretty clean game on 6/22 (box/gamer), giving up 1 run on 3 hits in 5 2/3s innings against Seattle, then handing off the ball to his bullpen of hard-throwers, who held and closed out the win for him. Lannan has had a pretty amazing turnaround over the past month, lowering his ERA from 5.03 to 3.40 in 6 starts. Lannan is such an enigma; his career ERA now stands almost exactly at 4.00, with an ERA+ just over 100. He’s pretty much the definition of a MLB average pitcher. The problem is, the team needs guys who are consistently better than average in order to make the next step. I can see Lannan getting tendered next year but eventually getting beat out by one of our rising starters. Jason Marquis put in perhaps his best outing as a National on 6/23 (box/gamer), taking a no-hitter into the 6th and leaving the game having pitched 8 scoreless innings of 3-hit ball. He was at 108 pitches (70 for strikes) and (from what I could tell from the stands) was getting squeezed on the strike zone. Too bad this great outing was out-shined by the abrupt resignation of manager Jim Riggleman immediately following the game. Jordan Zimmermann continued his excellent streak of starts, going 7 scoreless innings friday 6/24 (box/gamer) before watching his bullpen blow his Win, then blow two more leads before the team finally won in 14 innings. Ironically it was (arguably) our 3 best relievers who each blew saves (Storen, Coffey, Clippard). The team also managed to use every single arm in the bullpen in the process. Tom Gorzelanny was an unlucky loser, pitching 7 strong innings on 6/25 (box/gamer) but getting tagged for the loss when Henry Rodriguez let inherited runs score. The Nats squandered a golden opportunity when opposing starter John Danks had to leave the game early, a night after both teams emptied the bullpens in the 14-inning wild affair. They couldn’t get to Bruney and they certainly couldn’t get to Peavy, getting a grand total of 2 hits in 9 innings. Hard get your pitcher a win in those circumstances. In the first game of the Seattle series on 6/20 (box/gamer), Livan Hernandez continued his up-and-down season with a “down” start, giving up 5 runs (4 earned) on 10 hits through 4 innings and a couple of batters in the 5th. The game looked like a 5-1 wipeout before the Nats improbably scored 5 in the 9th inning to get a walk off win and rescue a ND for Hernandez. Starter Trends: last 5 starts. Relievers of Note and other News. So far, so good for Ryan Mattheus, who hasn’t given up a run in 3 appearances through 6/21. He’s throwing the ball hard, he’s stranding inherited runners and he’s getting outs. Everything you want from a middle reliever. Not good news for reliever Cole Kimball, who pitched through arm pain for weeks before “fessing up,” and now is being “shut down” for a couple of weeks because of continued pain. Its still being reported as shoulder inflammation, but it sounds like it could be something much more serious. Guys with 95mph fastballs and shoulder injuries don’t usually recover either. Chein-Ming Wang is *finally* going out on rehab, with a planned appearance in Hagerstown monday 6/27. It is slightly surprising that he’s going to Hagerstown, meaning that our 5 excellent prospects there will have their rotation scrambled slightly. I think he would have made more sense in Potomac, where the starters have been less impressive all season. Wang’s beginning of rehab is significant; it starts the clock from a month downward before a major decision has to be made; he has no minor league options so at the end of the period he either joins the 25-man roster, goes back on the DL or gets released. Both the Carolina league and the South Atlantic league start this cycle on all-star break. We had various members of Potomac and Hagerstown make and play in the all star games. See the Tuesday 6/21 link below for a quick review of all-star game participants. Note on how I’m defining “starters” for this post: since the short-seasons generally are easing pitchers into future starting roles, there’s sometimes two starters listed per game. Especially if one guy starts and goes 3 innings, then another goes for 3-4 afterwards. I’ll mention both these players for each game they do this, hoping that eventually the rotations will stabilize. JD Martin had a nice 6/21 start; 6ip, 2er (on a 2 run homer). Was this a spot start? (See news and notes section). Colin Bates had his second nice “start” in a row (since his previous appearance was actually in relief). 5 innings of one-hit ball to continue Auburn’s nice start to the season. The Citizen posted an interesting human-interest story about Bates here at auburnpub.com (where you can get an RSS feed of Doubleday stories). Matt Chico had a decent rehab start in the GCL; 4 innings, 4 hits and just one run. Why is he getting stretched out? He’s been in a situational lefty role all year, and there’s no room for starters in AAA. If anything, the team needs to replace LOOGY Doug Slaten in the majors, and Chico could be a logical candidate. Adalberto Mieses got the “relief start” in the GCL on 6/21 and pitched well. 4ip, 3 hits, one run with 4 ks. A good stateside start for the DSL 2010 graduate. Tom Milone‘s 6/22 start was a tale of two innings. 6ip, 5hits and 3 runs despite 0 walks and 7Ks. He gave up a run in the 3rd by advancing a runner into scoring position via a Balk, then giving up a bloop hit. In the 6th he gave up a double then a homer to turn 5 baserunners into 3 runs and give his line a mediocre feeling. In reality 5 baserunners in 6 innings is pretty good, and Milone departed having completed 6 innings with a 7-3 lead after only 81 pitches. It seems to me he could probably have gone at least 8, but Gaudin needed some rehab work. The nights work extends his ridiculously good k/bb ratio on the season to 89/5 in 81 innings. Ryan Demmin was dominant for Auburn on 6/22: 5P, 2H, 0R, 2BB, 3K. As well as he should be, having also dominated this level last year. Unfortunately, he’s now in short-A for the 2nd year in a row, making him rather “old” for the league. Lets hope he gets his mojo back and can get back to Potomac. Craig Stammen made perhaps his best start of the season (certainly since mid-April) on 6/23: 8.1 IP, 5H, 2R, 0ER, 1BB, 9K. 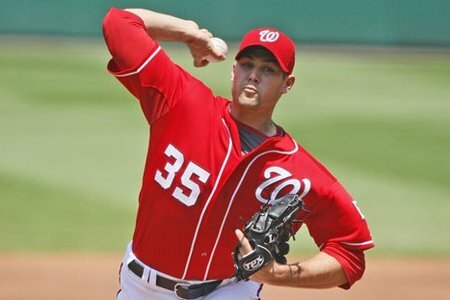 I’ve always liked Stammen; his FIP and xFIP were 2nd best on the team of any starter in 2010 not named Strasburg. I always felt he was unlucky on the mound and pitched better than his ERA and W/L record. What I find interesting is the franchise’s handling of him; is he a starter or is he a reliever? He’s been starting all year in Syracuse, but he featured in a relief mode when he was called up earlier this year, and he was demoted to long-relief last year mid-season. If his best shot at the majors is in a relief mode, then he should be relieving in AAA. That being said… his numbers in AAA as a starter have been pretty good this season. Maybe he’s still in line for a starter promotion (though he’s clearly behind Milone for “next guy to get called up”). Erik Davis had a good quality start on 6/23: 6IP, 6H, 2R, ER, 2BB, 3K. Nothing special, not incredibly dominant, but a good consistent performance. He gives up a lot of baserunners but he’s only really had one “bad” outing all season and seems like a decent trade bounty for Alberto Gonzalez at this point. Wirkin Estevez certainly rebounded nicely from his previous bad start on 6/23: 5IP, 1H, 0R, BB, 5K. This team looks like it may have several dominant arms early on. Another start, another ho-hum excellent outing in AA for Brad Peacock: 62/3 IP, 5H, 0R, BB, 6K. At some point, the team is going to have to make room for him in Syracuse to see what he does at the next level, because he’s clearly exhausted the challenges facing him in AA. Taylor Jordan continues to impress at Hagerstown, going for 7IP, 5H, 2R, 2ER, BB, 8K on 6/24. His last few starts weren’t necessarily impressive but his numbers on the season as a whole are good. He now stands at 8-3 with a 2.83 era. Nathan Karns was fantastic in a 3inning “start” on 6/24: 3IP, 1H, 0R, 1BB, 5K. I’m not sure if he’s a “starter” or not but we’ll consider this a “stretching out” exercise. Christian Meza pitched just as effectively as Karns on 6/24: 3IP, 1H, 0R, 0BB, 5K. Yuniesky Maya started out well on 6/24 but the game was suspended, so we’ll give him a “good” for 3 clean innings of work. Brad Meyers had a good quality start on 6/24: 6IP, 6H, 2R, 2ER, BB, 3K. Erik Arneson had an excellent AA outing on 6/25: 7IP, 8H, 1R, 0ER, 0BB, 9K. 2011 draftee Manny Rodriguez threw 3 excellent innings for Auburn on 6/25 as he continues to get stretched out for (possibly) a rotational spot. 3IP, 0H, 0R, BB, 3K. Gregory Baez threw a pretty dominant GCL start on 6/25: 6IP, 4H, 1R, 1ER, BB, K.
All we can say about Brandon King‘s 2011 debut was, wow. 4⅓ IP, 8H, 12R, 12ER, 4BB, 5Ks. King was a late-round highschool pick in 2009 who signed (a rarity) and is now repeating the GCL for the third season. I hate to say it, but he was bad last year, this start was pretty durn awful, and you have to wonder about the future prospects of a guy who can’t pitch his way out of the rookie league. Pedro Encarnation has not started the Short-A well. His 6/24 start: 3⅓ IP, 6H, 5R, 5ER, 0BB, 0K, 2HR. Paul Demny got rocked for Potomac on 6/25: 6IP, 12H, 6R, 2ER, BB, 3K. Not a good follow up to one of his best starts of the year. Shairon Martis had a good and bad outing 6/21: he gave up 8 hits but had 8Ks to go with them. Martis has pretty good AA numbers at this point; not sure what he’s proving by staying down there. I think the team needs to decide if he’s a prospect or if he’s an org player. Tanner Roark was *just* quite not dominant enough to give him a “good” start, despite his 6/22 outing qualifying as a “quality start.” Line: 6⅓ IP 5H, 3ER, 2BB, 5K. Unlike Milone, who also gave up 3 runs in 6 innings on only 5 hits Roark had a couple of walks and not as many Ks. He’s just not dominating guys like he did last year. My concern for Roark is that he’s now repeating AA in his 4th pro season out of college and should be improving, not getting worse. Adam Olbrychowski‘s first start as a rotation regular in Potomac was ok: 5IP, 6H, 3R, 3ER, 2BB, 7K. Lots of strikeouts, which is promising. He got the win for his efforts. Matt Grace certainly improved from his previous debacle of a start, spinning a QS on 6/23: 6IP, 5H, 3R, 3ER, BB, 6K. He’s slightly unlucky with 6 baserunners turning into 3 runs, but I like the K/9 rates. Trevor Holder had a decent start on 6/24: 5⅓ IP, 7H, 3R, 2ER, 0BB, 3K. Ryan Tatusko got a psuedo-start on 6/25, finishing Maya’s game with 4 soso innings. 4IP, 6H, 2ER, BB, 4K, HR. Sammy Solis continues to stretch out in Hagerstown, having an up and down game on 6/25: 7IP, 7H, 4R, 4ER, BB, 5K, WP, HBP. Kelvin Lopez pitched 4 innings on 6/25, going for 4IP, 4H, 2R, 2ER, 0BB, 1K. Why did JD Martin get a Syracuse start? He seems to have taken Brad Meyers‘ normal turn, but Meyers pitched later on in the cycle. Seems odd; normally you plan for the need for a 2nd starter because of DHs when they arise, not 5 days prior. Masn’s Byron Kerr had a nice little feature about Denny Rosenbaum. Brad Peacock and Bryce Harper were named to the US team for the Futures Game, high praise indeed for both players. These rosters are essentially Minor League all star teams and the rosters read like whos-who’s of the top prospects of today. Peacock also got a mention from Byron Kerr here, talking about his mechanics. Evan Bronson seems to have been the victim of Potomac’s Adam Olbrychowski-as-a-starter experiment. Bronson wasn’t lights-out as a spot starter and moves back to the bullpen. He may get another chance if the team tires of Trevor Holder’s mediocre performances. Christopher McKenzie, who started the year in Hagerstown’s but had three horrific starts in a row early in the season, got absolutely hammered in his first GCL outing; 4 hits and 3 walks in a third of an inning, resulting in 7 runs and an ERA of 126. Not a great start to his attempts to get back to a full-season squad. 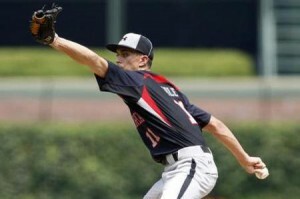 Former 40-man member and lost 2009 rule-5 draftee Zech Zinicola pitched his way to a promotion, including a 5k 2 inning performance on 6/24. This will be his fourth shot at AAA, having consistently shown for the last few years he’s more than capable of dominating in AA but never quite capable at the next level. Is he still a prospect? He’s 26, in his 5th professional season, and failed to impress when Toronto took him in the rule5. Of course, there’s always value in fungible bullpen arms. Top 3 starters whose jobs are in jeopardy: Any short-A starter who doesn’t perform well, with the influx of 2011 draftees. It could be a bloodbath of pitcher competition and releases, especially guys who didn’t exactly light the world on fire last year in short season competitions. 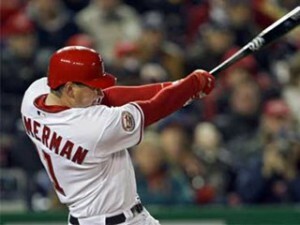 Does Riggleman’s exit also pave the way for Stairs to leave? I’ve been advocating for the release of Matt Stairs for well over a month now, having posted in this space in May questioning the inclusion of Stairs on this roster. In the month since, Stairs has “improved” his average from 2-for-26 to 5-for-43. He is batting .116 and slugging .140 for the season. He has one extra base hit, and frankly looks his age. On Friday, new interim temporary for-a-few-days manager John McLaren announced his first lineup. Against a right-handed hitter in an AL park (thus needing the DH) Laynce Nix is serving as the DH and NOT Matt Stairs. And it occurred to me this fact: Stairs almost certainly was Riggleman’s guy, and now that Riggleman is gone and Stairs continues to struggle mightily I wonder just how many days it will take before the team gives Stairs his outright release. For the rest of the 3-game series in the AL park, Stairs was not used at all, even in the 14 inning debacle friday night. Fans have long since given up explaining why a defense-focused team contains a 43-yr old pinch hitting specialist who cannot run, cannot play the field and (apparently) can no longer hit. MLB beat writer Bill Ladson has addressed the question in his Q&A posts, as has Boswell. Both have intimated that Stairs is keeping his job because there’s no logical replacement in AAA to take his spot. To which I say, I disagree. Right this second, any one of three or four guys on our AAA squad makes a ton more sense on this team than Stairs. Matt Antonelli is hitting .316 in AAA and could provide middle-infield cover. Michael Aubrey can play first base in a pinch, has MLB experience and has some power off the bench. Prediction: Stairs sticks around until we are done with interleague play and need Designated Hitters, and then is released. This is a statistical look at the relative ages of our debut Short-A and Rookie league pitching staffs, as compared to the rest of their league, for the purposes of giving future context to the performances of our staff as the season progresses. I initially did this for all the full-season minor league affiliates in Early May, and this time am catching the initial rosters. “Really Young” is a pitcher in the lowest quartile of pitchers by age, meaning he’s one of the youngest 25% of pitchers in the league. “Young” is a pitcher in the 25-50% quartile. “Really Old” is a pitcher in the 75th quartile or above. I’m using these quartiles because (frankly) MS Excel makes it pretty easy to calculate :-). So keep that in mind when you see a pitcher listed as “Really Old” for the league but may be right at the 75th-76th quartile range. The short-A age ranges are nearly identical to the age ranges for Low-A, a fact that kind of surprised me. I would have figured that the short-A squads would be filled with College Jrs and Srs newly drafted, while the low-A team would be mostly HS and DSL grads that were working their way up the system. In reality there’s almost no age difference between the two leagues (Short-A is younger across the board, usually by a few months). This is a relatively “young” squad, all things considered. Bates and Demmin have both dominated their first two starts, not surprising given their status as being relatively old for the league. Jenkins and Demmin were both “demoted” to the Short-A squad from full squad teams, so its not as if the franchise wasn’t trying to put these guys in the right spot. Even the three guys listed as “old” only missed the 50% percentile cutoff by a month or so. Our other three starters in Short-A (Estevez, Encarnation and Lopez) are all young or really young for the level, something to keep in mind if they struggle. That’s right; there’s a kid who is 16 years, 10 months playing pro ball in the GCL league. I don’t know about you, but there’s something wrong to me to have children that young playing a pro sport. Anyway. Just for the Record, rehabbing Matt Chico is the oldest player in the GCL by nearly three years. I see a lot of “olds” and “really olds” for this level. We know that Nathan Karns has struggled with injury ever since his 2009 drafting, so he’s understantable. Bobby Lucas JUST signed a few days ago (our 2011 27th rounder) and played at a weak Div-1 team, so he makes sense in the GCL to see what he has. Likewise with Todd Simko, our 2011 21st round pick. So, Lets wait and see if these guys earn quick promotions to short-A to play with their contemporaries. Remember, we drafted so many arms it is going to be difficult to find spots for all of them. Other 2011 “old” draftees on this squad include Ferrer and Hawkins. Mieses is a DSL grad who pitched well in 2010 in a starting role. Meanwhile, Hanks and Herrera were 2010 juco draftees and slightly “old” for the level. Lastly McKenzie was with Hagerstown but had three horrific starts in a row early in the season and was put back in Extended Spring. Unfortunately for him, his first GCL outing was not good either; 4 hits and 3 walks in a third of an inning, resulting in 7 runs and an ERA of 126. What a deflating end to a great run of wins for the team. Photo credit unknown. Jim Riggleman shocked the Natmosphere by abruptly resigning after today’s 1-0 win over Seattle (a win that gives the team 11 wins in their last 12 games and pushes them over .500 for the first time this late in the season since 2005). I can’t blame him. He’s more than proven his worth managing a team in the lower 1/3 of major league payroll, without its best pitcher all of 2011, missing Ryan Zimmerman for the bulk of the season and having to deal with the loss of his “other” major FA signing Adam LaRoche. He’s worked a group of players that includes more than a few 2011 minor league free agents into the hottest team in baseball. Mike Rizzo should have realized that picking up his option was the right thing to do. The team let him toil as “interim manager” for months, even while vastly outperforming his predecessor (Manny Acta was 26-61 in 2009, then Riggleman went 33-42 with a group of players hampered by injuries late in the season). Riggleman certainly has his detractors (small ball, quick hooks, sentimental pitching decisions all being mentioned) but I find it hard to believe there’s a manager out there who could have gotten more out of this group. Flat out, the team should have picked up his 2012 option long before it came to this. A disappointing piece of news. WP columnist Tom Boswell conducted his weekly chat today 6/20/11, via the Washington Post chat pages. Boswell heavily covered the US Open and took a number of questions on Rory McIlroy and the tournament, but he did field some Nats questions. As always, the questions below are paraphrased from their original asking for space and levity. 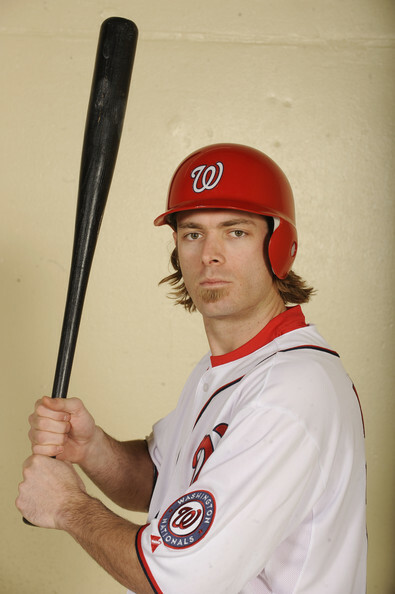 Q: Is Jayson Werth already a bust? A: I think there’s some impatient Nats fans out there. Yeah he’s hitting .232/.332/.409, but his OPS+ is still above 100, so its not like he’s having an Adam Dunn-esque season. I think he’s struggled with the absence of his lineup protection Ryan Zimmerman and has tried too hard to carry the team and earn his contract. Happens all the time in the first year of a massive deal, or the first year with a new team and a new stadium and a new city. Lots of pundits flat out panned the Werth contract. Too much money, he’s too old, he’s not a superstar. 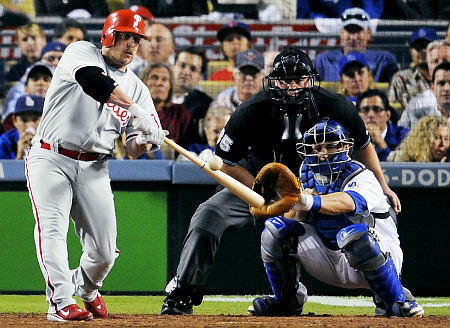 Well, its not like the Phillies didn’t want him back; he was a coveted free agent and we overpaid because we had to. I still maintain that if Werth had signed 7rs/$126M with New York or Boston, nobody would have said a thing (indeed, Carl Crawford signed for MORE money and is hitting worse, yet you don’t see many articles slamming Boston for such a horrible contract). I think a lot of the flak was just the Nats perception as being cheap, and breaking that perception. (Boswell mentions the same two players I just did, and says that he believes Werth is just “playing tight” right now. Fair enough). Q: Did Riggleman leave Gorzelanny in to bat in the 4th inning on 6/19, in an attempt to avoid another Marquis-blowup by taking him out prior to 5 complete innings (so that he wouldn’t qualify for the win)? A: Maybe. Maybe not. Gorzelanny was giving up a LOT of hits, he had given up runs in 3 straight innings and was probably heading for an early shower. But the Nats got 2 runs back in the bottom of the 4th and Gorzelanny wasn’t near 100 pitches on the day. Unfortunately he went out and gave up more runs in the 5th and had to get hooked. Managers aren’t omniscient, and Riggleman had no idea he was going to get pounded for 3 more runs. Keep in mind as well, this was Gorzelanny’s first game back, he didn’t really have a ton of rehab time (one AAA start) and was more or less rushed back into service because of how bad Maya performed. (Boswell didn’t really answer the question, just saying that Riggleman has to manage a group of 25 guys, each with different incentives). Q: How would you re-align baseball, if you were commissioner for a day? Would you keep divisions? A: Short answer: Move Houston to AL West to create a fantastic Dallas-Houston rivalry and to create 6 divisions of 5 teams each. Standardize the DH across the board. Have rotating divisional focus but stick to it (not like what they do now, where its random what teams play who). Who cares if there’s inter-league play at the end of the season; make the matchups compelling and people will come to see the games. This plan would preserve most of the current rivalries in baseball while creating some new ones. Tampa moves out of the AL east but goes against two like-minded franchises in terms of building on youth in Texas and Kansas City. The AL South has a bit more travel, but Tampa’s strong TV ratings should be maintained with 8pm start times instead of 7pm during its many central time zone trips. San Antonio builds an instant in-division rivalry with their Houston neighbors. The AL Central keeps its four core teams while the AL west gets an instant Seattle-Portland rivalry while keeping all its games on Pacific time. Here, the Pirates join the NL east to allow Florida and Atlanta to stay close together. The central teams now cut down on travel a little bit (though Cincinnati is closer to Pittsburgh than most any other NL team, so splitting them up doesn’t make a ton of sense). Q: Do the Nats move Rendon to 1st base if he hits like everyone is talking? A: It all depends. If he hits his way into the majors next June, then we may have to get creative where to put him (left field?) If it takes a few years and we’re looking at FA first basemen then sure, 1st base makes perfect sense. If its 3 years from now, Desmond is still hitting .205 and Espinosa looks like a franchise player, move Espinosa to short and install Rendon at 2nd. Lots of options. Way too early to decide. Hell, we haven’t even signed the guy yet! Boswell insinuates that perhaps its Zimmerman who makes way. Wow, hadn’t considered that possibility. I have a hard time believing that we’re going to move the best defensive third baseman in the majors on account of a few throwing errors. Q: Is Bernadina part of the Nats future? A: I have a hard time believing so. He’s a fringe-below average major league hitter. He can play a good center, but we’re grooming Bryce Harper to play center (I would hope). So Bernadina is left to compete for a left field spot with guys who can adequately man the position but hit 25 homers. (Boswell completely ignored the Bernadina question). Q: How does Morse’s prowness defensively at 1st compare to LaRoche and Dunn? A: He’s clearly in between, though closer to LaRoche than most would say. So far this year in about 2/3s the innings Morse has a 4.1 UZR/150 rating, which is pretty darn good for a first time full time first baseman. LaRoche’s was higher (at 9), not surprisingly since he’s one of the best defensive first basement in the league. Dunn? He was a -4 uzr/150 in 2010 for the Nats and hasn’t played 1st enough to get a rating so far in 2011. I always thought Dunn was more agile than people gave him credit for, but that he really struggled on grounders and throws from his middle infielders. (Boswell more or less agrees). Q: With Morse playing 1st so well and hitting even better, is he the future first baseman? What do we do with LaRoche? A: A very good question. If LaRoche is healthy, I think he’s your first baseman. He’s signed for 2012 with a decent 2013 option. Meanwhile, Morse clearly needs to be in the lineup. I think the answer may be to flip Nix for a prospect and put Morse back in left when the time comes. Its nice to have positional flexibility with your hitters. I think you wait til next spring training and see just how LaRoche is hitting post surgery before making this determination. (Boswell rambled about how Morse may be hitting what we can expect from Harper). Q: What are the odds of a Beltway World Series? Which franchise makes the playoffs first? A: Slim to none on the first question; I can’t see Baltimore beating out its AL east rivals until they get a new ownership group and embrace the approach the Tampa Bay Rays have taken. So therefore the immediate answer to the 2nd question is the Nats. I personally feel that we may reasonably expect a playoff run in 2013. Philadelphia will be aging and saddled with several major contracts (they have $86M committed to just FOUR guys for 2013 right now, and those four guys will be 36, 33, 34 and 34. ouch) and could be caught at the top of the division. Atlanta will still be strong, but the Nats seem to be built to peak starting in 2013. (Boswell says the Nats have a higher ceiling and then goes on a tangent about the fan base and attendance). Q: Would the Nats be doing themselves a disservice by trading Marquis, Livan and Gorzelanny and replacing them with lesser AAA pitchers? Why trade veterans if they’re winning? He’s in a contract year and is pitching better than he would be once he gets paid. He’s on the wrong side of 30 and has value now. Did everyone forget how bad he was in 2010? Any contract he signs will be difficult to reap the value of as it plays out. He’s not an Elias typeA or typeB pitcher, so if we lose him to free agency we’ll get zero compensation. We’re not winning the world series this year, therefore…. All losing teams trade off veterans at the trade deadline for prospects. And we should too. (Boswell thinks the 7/31 trade market is softening and that the Nats won’t take any offers, and everyone stays. I doubt that, based on what we were getting last year for the likes of Cristian Guzman). Q: Are the Nats (especially Desmond and Werth) taking too many first pitch fastballs? A: Hard to answer this without empirical evidence. Boswell thinks the team should have altered its approach against a weak starting pitcher and not let him get into so many pitcher’s counts. Fair enough. Q: What’s the longest someone has employed this pitcher-batting-8th lineup? A: It has to be the Cardinals, who ran it for nearly an entire season. Who else uses it? (Boswell went off on Werth’s splits since going to leadoff). The Nats finally get Ryan Zimmerman back into a suddenly potent lineup, and continue their longest winning streak in several years. How’d our guys fare heading into the weekend Interleague series with the Orioles? Livan Hernandez pitched perhaps his best game in a Nats uniform on June 15th (box/gamer) against the powerful St. Louis lineup. A 3-hit shutout. Three errors and 4 bombs from his improving offense definitely helped, but he would have won this game even with his typical crummy run support. Game score on the night: 87. Nice. (Verlander‘s no hitter on May 7th scored a 90, for comparison purposes). For a nice overview of the Bill James Gamescore, and a list of the greatest pitching performances in National’s history, read Zuckerman‘s piece here. John Lannan continues to look like a different pitcher than earlier this season, throwing his sixth straight quality start in the St. Louis series finale on 6/16 (box/gamer). He was denied the spoils of victory though, with Danny Espinosa‘s walkoff 3-run shot giving Burnett a victory. The win pulled the Nats out of last place in the NL east for the first time this late in the season since perhaps 2005. While not quite as dominant as his past few starts, Jordan Zimmermann threw yet another quality start in saturday 6/18’s game versus Baltimore (box/gamer). He went 6 1/3, giving up 2 runs on 8 hits for his 9th consecutive quality start. In that time he’s driven his ERA from 4.55 to its current 3.08, good enough for 12th in the NL as of 6/19. Can we say “second Ace” yet? Jason Marquis somehow willed his way out of 12 hits in less than 6 innings without giving up a dozen runs, settling for 4 against the Orioles on friday night (box/gamer). The Orioles certainly did not hit well with RISP, and it cost them as the Nats bats continued to be hot and they extended their winning streak. Tom Gorzelanny‘s return from the DL was poor: he failed to get out of the 5th inning and got pounded by the Orioles to end the Nats 8-game winning streak on 6/19 (box/gamer). He gave up 10 hits for 5 runs (4 earned) on the afternoon. No strikeouts for the team’s leading k/9 guy, making you wonder if he’s rushed back from his injury. His velocity seemed ok and he was pitching to contact … but the Orioles aren’t exactly a weak-hitting team. We’ll have to hope for a stronger start next time out. Starter Trends: Lannan and Zimmermann continue their hot streaks, Livan continues his yo-yo-ing of performances, and Marquis gets a win on a day he got hit around pretty badly. Boy its nice to see a bullpen full of shut-down arms. A quick glance at the ERA+ stats of our bullpen as of 6/19 offers up some pretty dominant figures. 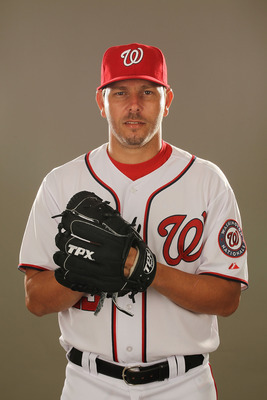 Storen-159, Clippard-197, Rodriguez-219, Coffey-183, Mattheus-infinite (he’s yet to give up a run in two appearances). Only Balester and Burnett have sub 100 figures. The ERA+ is a bit deceptive for certain people (for example, Doug Slaten has a 179 figure despite a god-awful WHIP and a horrible inherited runners-scoring track record) but for the most part does a good job characterizing the performance of pitchers over the long haul. Rick Ankiel can’t seem to catch a break this season, going back on the DL to let a strained rib cage muscle heal properly. The move was fortuitous for the Nats, who needed to activate Tom Gorzelanny to make his 6/20 start and offers a stay of execution for (likely) Brian Bixler on the active roster. 6 of the 8 starting hitters for this team now feature OPS+ stats > 100. Only Desmond and Bernadina (who just missed out with a 95 OPS+) are struggling to join the hit parade. More importantly for our power-starved team, with 43% of the season gone we’ve got 4 players on pace to eclipse 20 homers on the season (Werth, Nix, Morse and Espinosa), and Zimmerman may pick up the pace and threaten that same mark. Espinosa is noteworthy as the team leader, currently on pace for 27-28 homers during his rookie season, from the 2nd base position. He may become a very valuable player indeed. Did the team waste $8M on Maya? In 5 starts last year; Yunesky Maya was 0-3 with a 5.88 era, a 1.577 whip and a very bad 69 ERA+. The team lost all 5 games he pitched and he didn’t come close to even recording a quality start. He was any one of a number of excuses. He was “rusty.” He was “rushed to the majors.” He was “homesick” and he “missed his family.” He was suffering from a “lack of competition.” All those points were true. The real test for Maya would be spring training 2011. He failed to make the rotation out of the spring this past March, but you can’t fault him there. The only rotational guy really in any jeopardy of not making the rotation (by virtue of contract or option status) was Jordan Zimmermann, and even then it was only if he was hurt. So he (by some accounts) sulked to AAA and got pounded his first few starts before sucking it up and starting to pitch like a pro. Because of Detwiler‘s sudden lack of performance in AAA, Maya was first to be called up to make a spot start when Gorzelanny got hurt. All the 2010 excuses are now out the window. He’s had a full spring, he’s rested, he should be in playing shape, and he had a bunch of AAA starts. So, what happened? He got lit up. Again. 5/29: 6 hits and 2 walks in 4 2/3 innings. His team bailed him out for a ND. 6/3: another 6 hits and 3 more walks in 4 innings plus. His bullpen failed him and made his line look worse than it was, but still. He took a loss and dropped his era to 8.00. 6/8: He actually looked great. 6ip, 4 hits, 1 run, albeit against a weaker hitting San Francisco team. He got an early hook and his bullpen blew the game for him. 6/14: The coup-de-grace. Finally going against a decent hitting team (St. Louis), Maya got pounded like a bullpen pitcher. Only a 6run 7th inning from his offense bailed him out and gave him a ND. Those first two starts were against San Diego and Arizona, two of the weakest hitting teams in the league. He was clearly nibbling at the strike zone instead of commanding his pitches. His one quality start was against San Francisco, also a weak hitting team (man that NL west just can’t hit!). But notice what happened when he went up against a lineup of proven hitters: Pujols homer, Berkman homer, Rasmus rbi-double. Thank god Holliday is hurt. With Gorzelanny having finished a rehab start and looking to come back, Maya has been optioned back to AAA. 5/29: 89.24mph average, a MAX speed of only 91.7. He only looks like he even broke 90mph a handful of times on the night. 6/3: 88.7 average and ONLY 89.4 as a max. 89.4 as a max fastball for a right-handed starter in the major leagues? 6/8: 88.6 average, 90.6 max. And this was his best game. 6/14: 89.1 average, max of 91.1. The announcers said he had no movement, his fastball was flat, he was missing out over the plate and he had no control. Yeah, he throws a gazillion different pitches. Pitch f/x distinguishes between 6 of them, but he varies his arm slot on his fastballs and curves for even more variety. But clearly he’s not throwing 93-94. Whoever quoted that speed was probably on a fast gun at a stadium or was working on commission. He’s had two shots at the big leagues and has badly underperformed both times. If he had better stuff or commanded his pitches better, then his lack of velocity wouldn’t matter as much (see Hernandez, Livan as Exhibit 1-a). But he doesn’t (have command), so he can’t (get around a lack of velocity). Unfortunately for Maya and the team, it looks like his contract may be a bust. When he goes back to AAA, it may be for good. Perhaps he’ll make for a long-man/mop-up guy at some point. But his career as a prospective Nationals starter seems done.